There are a number of great locations around Sydney for snorkeling and scuba diving. There are no tropical reefs around Sydney though there is still an amazing array of sea-life as well as a few shipwrecks which are good for scuba diving. Even within Sydney Harbour there are some great spots for snorkeling. 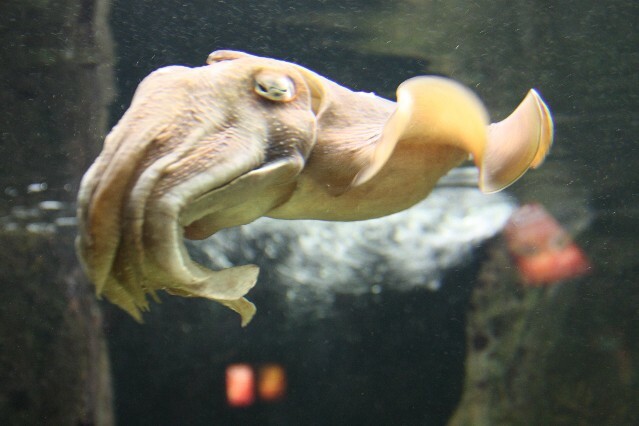 There are over 600 species of sea life in the harbour including the Weedy Seadragon, Australian Giant Cuttlefish, Big-bellied Seahorses, Blue Ringed Octopus, blue swimmer crabs, pygmy leatherjackets, Port Jackson Sharks, Spotted Wobbegong Shark, a number of species of star fish and the large Eastern Blue Groper. There are around 30 shipwrecks along the coast of Sydney which make interesting scuba diving sites. The SS Royal Shepard is a ship that is located just outside the Sydney Heads. It is at a depth of 27m and visibility is sometimes poor. Blue Ring Octopus - these small octopus are very venomous and can kill a grown adult. If you do see one stay well clear. Blue Bottles these only appear at certain times of the year mainly along the coastal beaches. They are a type of jelly fish with an inflated bag that floats on the surface and their tentacles hang down into the water. Their sting is extremely painful and can cause nausea. There are plenty of PADI scuba dive schools in Sydney where you can complete the PADI dive courses or arrange scuba dive trips if you are already an accrediated diver. Shelly Beach (close to Manly Beach) Cabbage Tree Bay Aquatic Reserve From Manly follow the walking path along, past the Manly Surf Life saving club. It's around a 15 minute walk to Shelly Beach as pictured above. The waters are calm here and the rock wall attracts schools of fish. There are a number of dive schools teaching PADI dive courses in the calm waters. A short swim from the beach is the Fairy Bower reef wall with many varieties of schooling fish and you may have a chance of seeing juvenile dusky whaler sharks. North Bondi Beach has some good snorkeling along the rocks. 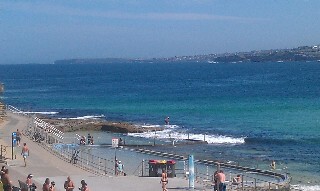 There is easy access into the water right next to the sea pool at the northern end of Bondi Beach. It can be a bit rough here if the surf swell is high. 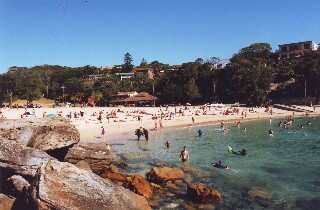 Fairlight Beach is located close to Manly. Fairlight beach is facing Sydney harbour so there is no surf with calm waters. Gordons Bay (also called Thompsons Bay) is located just south of Clovelly Beach and north of Coogee. This is a really popular place for snorkeling and scuba diving as the bay waters are protected from the sea swell so attracts schools of fish and marine life. A number of dive schools operate from here. 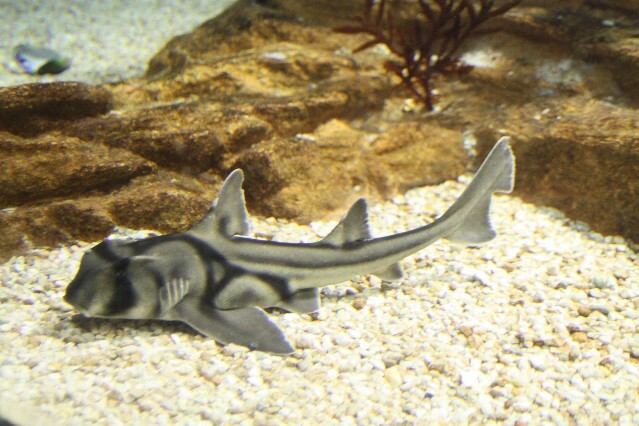 Also close by are good dive spots of Clovelly pools and Shark Point. Clovelly Beach is located between Bronte Beach and Gordon's Bay, all south of Bondi Beach. Chowder Bay is located on Sydney Harbour within Mosman on the North Shore of Sydney. Easy access to the water from Clifton Gardens picnic grounds. There is some good snorkeling along the rocks with easy access along the harbour beach. Around the wharf pylon's is home to white seahorses and the larger big bellied seahorses. Oak Park at Jibbon Street Cronulla. A reef runs north-east from the rock baths. This area is good for beginner snorkelers and scuba divers. Also close by is Bass and Flinders Point. Often there are blue gropers in these areas which are quite friendly and allow you swim up close. Kurnell - on Cape Solander Drive within the Botany Bay National Park there are some good spots of snorkeling and diving close the the landing spot of Captain Cook. 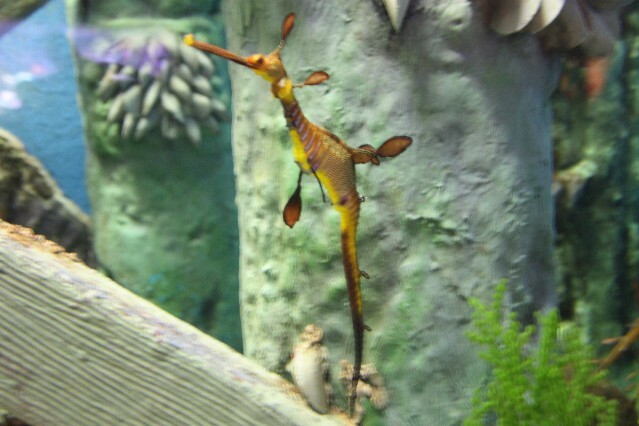 The southern head of Botany Bay is home to seadragons. Shiprock - Shiprock Road Lilli Pilli part of Port Hacking's Shiprock Aquatic reserve is home to around 130 species of marine life. High tide is the best time to snorkel or dive as the currents are much higher during low tide. Camp Cove - Pacific Street Watson's Bay located on Sydney Harbour. Located just inside South Head the waters are protected from the ocean swell. Freshwater Beach is a northern Sydney Beach just north of Manly Beach and Queenscliff Beach. Balmoral Beach is located on Sydney Harbour on the north shore of Sydney, just down from Mosman. Bare Island - Anzac Parade La Parouse you'll find the ruins of a 19th century fort. The islet is connected by a bridge. 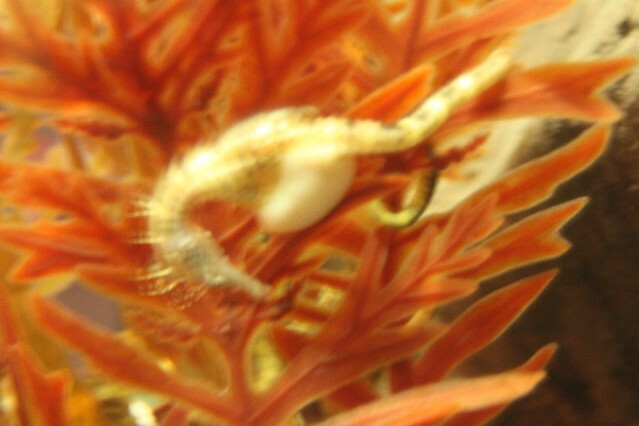 The marine life you'll find around the island include seahorses, seadragons and Port Jackson sharks in winter time. There are also sponge gardens. Readers Comments - Where's your favourite snorkel site in Sydney? we love Shelly Beach. I took my 6 year old there. Hardly any waves, calm, and 100% chance you'll see something worth remembering. So far we have just been out to Clovelly and intend on snorkelling in Gordons bay. Clovelly is a great site to begin with. It is mostly calm unless there is a bit of a swell and during the high tide. 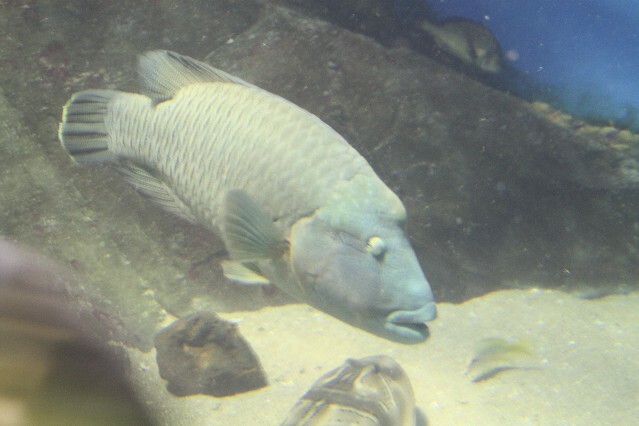 But on all occasions we have seen plenty of sea life and have also seen Bluey the groper as well. Awesome spot, great for children. My niece is 9 and she absolutely loves it and does not have any issues there. just letting you know the dangers of snorkelling sydney would include entanglement, sunburn, boats, dehydration, surge/waves, currents and tides in some areas. Marine life present very little possibility of risk, and if they do it is because they are being defensive. bluebottles do present problems during offshore winds which do blow them on to open beaches, and are at time found in Shelley. Marine life to be careful of are urchins in rocky pools, there have been some spotting of young stone fish at Fairy Bower when the water is warmer. oysters are nasty if washed into rocks or swimming near pylons (Chowder Bay). With the fear of sounding pedantic, and mostly for educational purposes for young kids reading your site, Bluebottles are closely related to jellyfish but are not a type of jellyfish, they are a colony of polyps that form the bluebottle. Where's your favourite snorkel site in Sydney?